In your choice of .177, .22 or .25 caliber. 19.4" barrel, 34.4" overall, 10.2 lbs. Pest Problem? 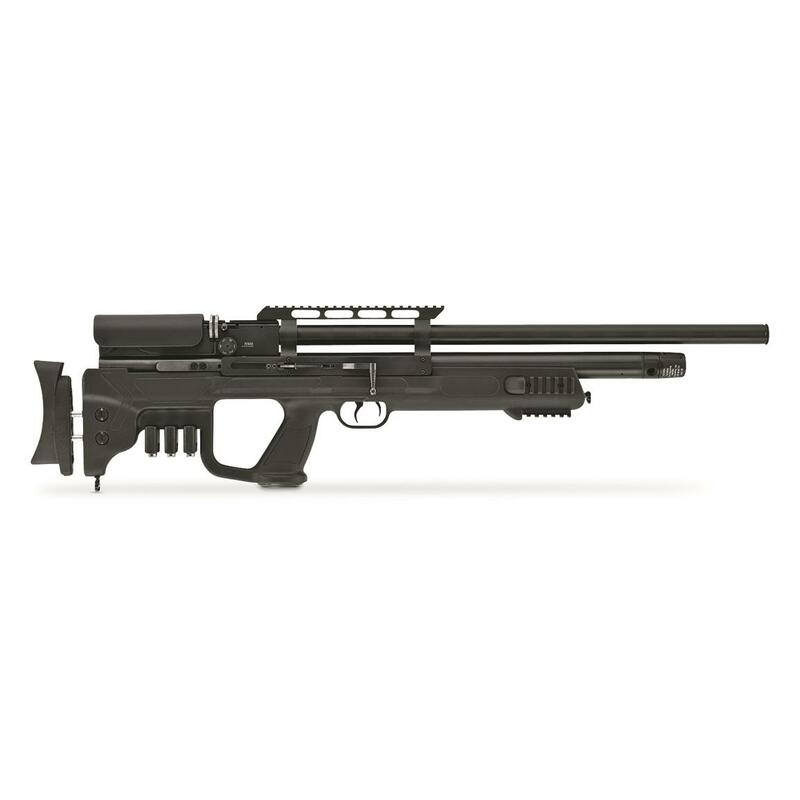 Never again with this Hatsan Gladius PCP Air Rifle! Designed with a powerful PCP power plant, the Hatsan Gladius reloads quickly and zings pellets downrange with maximum authority. Plus, it's equipped with 3 Picatinny rails for adding scopes, flashlights, lasers and other tactical accessories.